The Mauser bolt-action .22 LR rimfire rifle shown as an example on this page was manufactured by the " Geco" company (Gustav Genschow & Co.), one of many companies sub-contracting for the production of these allegedly sporting rifles ( the German Government - post the First World War - were officially restricted to the production of only sporting arms; military weapon manufacture was more or less forbidden by the Allies . 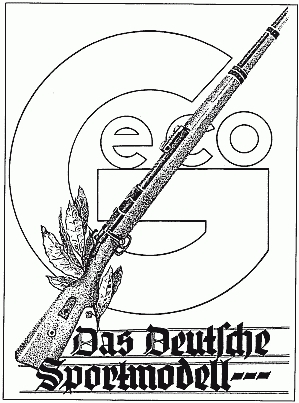 Some years on, the sporting rifles came to bear more than a passing resemblance to the old German service rifle). This new miniature calibre Mauser rifle became known as the DSM-34, by virtue of the " Deutsche Sportmodell" designation and the 1934 year of introduction. The DSM became one of the most common of the German "training" rifles and, as was the 1939 following design KKW rifle ( Klein Kaliber - Wehrsportgewehr ), was modelled loosely upon the Gewehr 98 rifle genre. 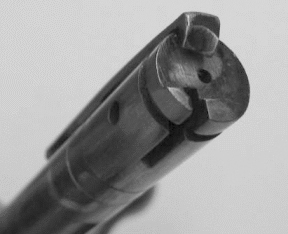 The DSM could not be fixed with a bayonet, but the immediately pre-W.W.II design KKW was so enabled. At the end of the War in 1945, the French Government took over the Mauser factories and these training rifles were still in production for a short while. Before long, all the tooling was removed to France along with all the factory stocked parts as yet unassembled. The rifles were built up in France in the MAS factory, and bore the MAS name thereafter.
" 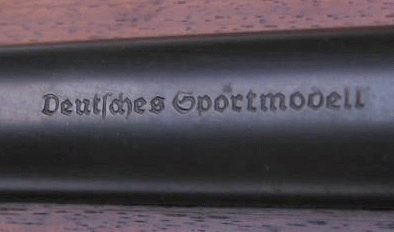 MAUSER SMALLBORES - Sporting target and Training Rifles". 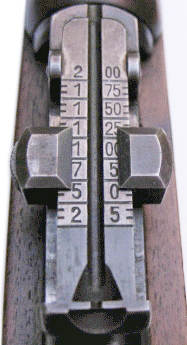 See also the the K98 .22RF conversion unit for the German Service rifle.